Super Bowl weekend has become a de facto “national holiday” in the United States, celebrated by attending parties, gorging on junk food, and – in many cases – placing a wager on your favorite team. In fact, more bets are placed on the Super Bowl than on any other sporting event of the year, though the majority of bets are made under the table. These wagers – and other gambling activities – are increasingly migrating to mobile devices, as regulations ease and app-based smartphone usage grows. 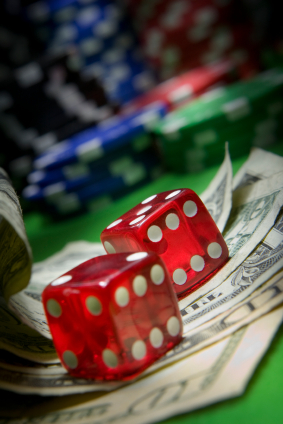 What Is Spurring The Rise Of M-Gambling? Previously opposed to many forms of Internet gambling, the U.S. Justice Department decided in late 2011 to remove legal obstacles to online betting – giving states the power to make a variety of gambling activities available via the Internet. For state governments caught in tight budget situations, easing online gambling restrictions provides an important source of tax revenue – and many have already taken advantage of the changes. Illinois, for example, was the first state to legalize online lottery ticket sales, with Florida and other states now considering a move in the same direction. New Jersey has taken a specifically mobile approach to virtual betting – with Government Chris Christie signing legislation this month to allow mobile wagers in the state’s horse racetracks. Though sports betting remains illegal on a federal level (except in the state of Nevada), New Jersey voters passed a referendum in 2011 to allow sports wagers in the state. Governor Christie further gave the green light to sports betting, citing the federal law as unconstitutional. State assemblyman John Burzichelli envisions that mobile gambling will boost attendance to the tracks from “younger, tech-savvy patrons,” moving the horse-wagering industry into the 21st century. Beyond regulatory changes on the national and local levels, the increase in social-based gambling has also contributed to a rise in the mobile betting market, according to a StrategyEye report. As social game companies such as Zynga move into the real-money gambling space, and gambling companies increasingly integrate social elements, this “potent cocktail of social and mobile” is expected to drive growth across the industry. Despite its popularity, however, there are a variety of barriers to the spread of mobile gambling – both in the United States and elsewhere. Critics of mobile-based lottery tickets in the U.S., for instance, worry that while increased accessibility via mobile phones might boost state tax coffers, it could mean less money for local lottery ticket retailers. Others are concerned that opening lottery sales via online (or mobile) channels, would make it too easy for gamblers struggling with addiction to access their vice. The rise of mobile gambling is also largely dependent upon legality, according to a recent Juniper Research report. Globally, each local or national government has its own set of regulations governing virtual betting, whether mobile or online. These regulations, however, are still very much in flux, as governments develop new regulations or seek to overturn outdated legislation. Even where it has been legalized, mobile gambling faces a “chicken-and-egg” problem, similar to other mobile payment solutions. For instance, although New Jersey has approved mobile gambling in Atlantic City casinos, none have yet begun to offer this service. Casino owners, though intrigued by the convenience of mobile betting, are concerned that there would not be enough mobile gambling patrons to make their investment worthwhile. Further, as with other mobile games, the business model for mobile gambling is questionably sustainable, with service providers, portal operators and billing/payment technology providers all vying for a cut of gross yields. Despite these hindrances, total mobile gambling wagers are expected to continue rising over the coming years, as users seek the convenience and privacy afforded by mobile phones, and smartphones become more ubiquitous. In fact, total wagers from mobile casino, lottery and betting are expected to reach more than $100 billion by 2017. Given this industry-wide growth, the integration of mobile technology (where legal) may be a viable, and increasingly important, business opportunity for stakeholders.